Do you need an excuse to cuddle on the couch and enjoy that new baby smell? Here’s a way to get the many benefits of skin-to-skin contact while enjoying rest and cuddles. When my oldest was born, I knew that skin-to-skin contact after birth was important. I even had the opportunity to do skin-to-skin in the operating room after my cesarean section. At the time, however, I didn’t know about the continued benefits after the newborn stage. After my youngest was born I was able to hold her skin-to-skin for two hours directly after my VBAC (Vaginal Birth After Cesarean). I then continued to do skin-to-skin in the hospital and every day at home. Recently, my youngest had a fever, so I put on a carrier that allowed for skin-to-skin contact and she cuddled up and took a nap. Her fever was gone when she woke up the next morning. I am so grateful that I learned about these benefits so I can increase trust, bonding, and communication with my babies. Touch is a primary language of communication for humans. Humans depend on touch as a means of developing basic trust. For babies, this begins in utero — they are constantly surrounded by warm touch. Many caregivers have heard of the importance of skin-to-skin after a baby is born. It is becoming standard practice in most hospitals for a healthy baby and the gestational parent (the parent who gives birth) to be brought together to enjoy the benefits of skin-to-skin immediately after birth. Many people are surprised that skin-to-skin done with a non-gestational caregiver (any caregiver who was not the one to give birth) and that skin-to-skin after the newborn stage continue to have many of the same benefits. Through the sense of touch, bonding and trust are facilitated. This is a powerful bond that will last a lifetime. After birth, the gestational parent’s body regulates the temperature of the baby better than any external device. The act of skin-to-skin lowers the caregiver’s cortisol (stress) levels. Lower cortisol levels increase the oxytocin of baby and caregiver which leads to decreased anxiety and increased immunity for both. Any new caregiver knows the worry of germs impacting their newborn; anything to increase immunity helps. Breastmilk production is increased with skin-to-skin and immediately after birth it continues over time. For babies struggling with low blood sugar levels after birth, skin-to-skin is an effective method to regulate it. Our bodies are amazing and know just what our babies need. A non-gestational caregiver is able to enjoy bonding and other benefits of skin-to-skin; however, baby’s temperature will not be regulated as with the gestational parent. After 90 minutes, the non-gestational caregiver and baby need to take a break. Skin-to-skin continues to provide benefits up to and after the baby is one year old. This can (and should!) continue at home directly after birth and during the baby’s infancy. As the baby gets older, skin-to-skin is the perfect answer when a connection is needed,babyissick, or cortisol levels are high. Just as with a newborn, skin-to-skin can help regulate the temperature of a toddler with a fever. Any amount of time with baby using skin-to-skin contact is beneficial, but the maximum benefits occur after 60 minutes. In order to do skin-to-skin, there are two things you need: you and the baby. A special device can help but is not required. There are a variety of products that can help facilitate skin-to-skin contacts such as simple bands that go around the torso, sized shirts, and baby carriers. For a newborn, a tank or shirt on the caregiver can provide the perfect opportunity to tuck baby inside and soak in the benefits of skin-to-skin without any specific product. Many of these bands, shirts, and convenient devices are perfect for resting. Most of the time, however, they are not hands-free. Babywearing (using a device to carry your baby on your body) is another way to enjoy skin-to-skin contact. 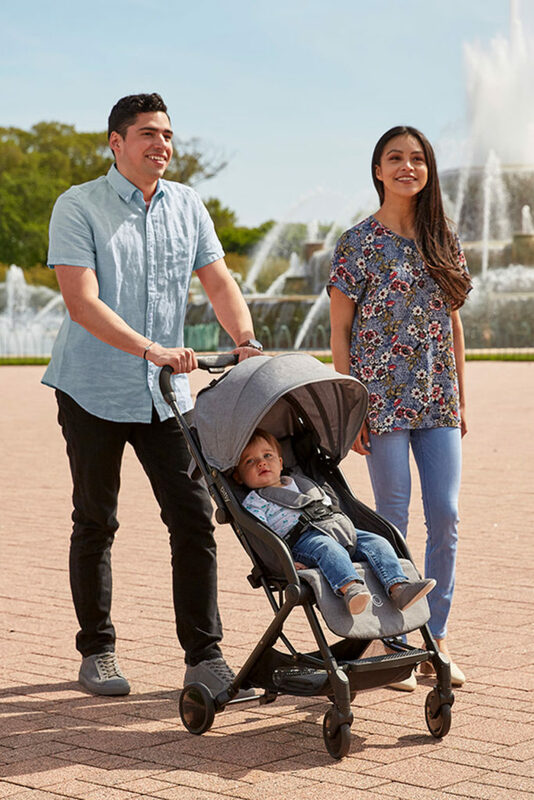 When used properly, the carrier provides an extra layer over the wearer and baby while also securely holding the baby. Baby carriers such as buckle carriers (also known as SSCs/soft structured carriers), wraps, ring slings, and meh dais can all be used to facilitate skin-to-skin. The caregiver should remove his/her shirt, put the carrier and baby on the body, and you have hands-free skin-to-skin contact. A sweater or robe can be worn over the caregiver and baby for comfort. The baby carrier can be used in the hospital or in the comfort of home. When using a carrier to facilitate skin-to-skin, the caregiver is able to complete tasks like going to the bathroom, making a meal, or caring for other children while also increasing trust, bonding, and communication with the new baby. The gestational parent who recently gave birth should absolutely take the opportunity to rest with baby while enjoying the benefits of skin-to-skin. It is the perfect reason to sit on the couch and be cared for by loved ones. With simply a comfy shirt and your choice of baby carrier, you and your baby can benefit from skin-to-skin from birth through toddlerhood. 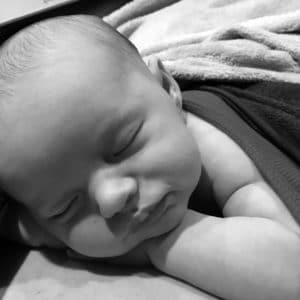 Whether you want an excuse to curl up on the couch and smell your new baby’s head or want to multi-task while trying to combat the fever of a toddler, you and your child will benefit from any skin-to-skin opportunity. For more information about skin-to-skin contact, visit here.